Sailing & Sewing Where the Coconuts Grow | Do-It-Yourself Advice Blog. 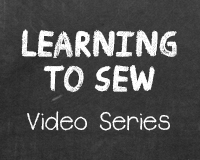 Do you repair sewing machines? We service and repair all Sailrite brand sewing machines, exclusively. I am age 59 and preparing to go south with my sail rite machine and I currently do repairs and teach sailing in Colchester Vermont, do charters aboard my 1987 pacific Seacraft Crealock cutter 34. Lake Champlain is awesome and home but I’d like to leave within two years . I lack one thing and that would be my cruising partner / life partner. Throwing out milkweed seeds on the wind in hopes some great guy catches one..